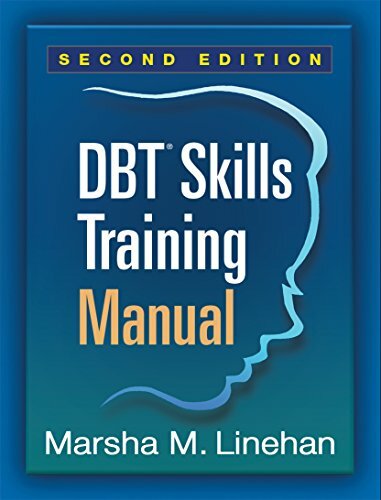 See also DBT® Skills Training Handouts and Worksheets, Second Edition, a spiral-bound 8 1/2″ x 11″ volume containing all of the handouts and worksheets and featuring brief introductions to each module written expressly for clients. Plus, Cognitive-Behavioral Treatment of Borderline Personality Disorder, the authoritative presentation of DBT. Also available: Linehan’s instructive skills training videos for clients–Crisis Survival Skills: Part One, Crisis Survival Skills: Part Two, From Suffering to Freedom, This One Moment, and Opposite Action. Other related DBT videos: DBT at a Glance: An Introduction to Dialectical Behavior Therapy, DBT at a Glance: The Role of the Psychiatrist on the DBT Team, and Getting a New Client Connected to DBT (Complete Series).